Most commonly in Nystagmus, it feels like your eyes are beyond your own control. It is a condition which causes involuntary rhythmic shaking or wobbling of the eyes, usually rapid and uncontrollable in nature. Nystagmus causes involuntary side to side or up and down eye movements. The movements may vary between slow and fast and usually happens in both eyes. The eyes may shake more than looking in a certain direction, which often results in reduced vision and depth perception and can affect balance and condition. The movements often occur from side to side, up and down or in circular pattern, generally making it difficult for a person to focus over a particular object. So, in order to see properly, people with nystagmus often hold their head in an unusual position. They may also turn or tilt their head, to get a null point. Nodding helps them reduce the eye movements too. 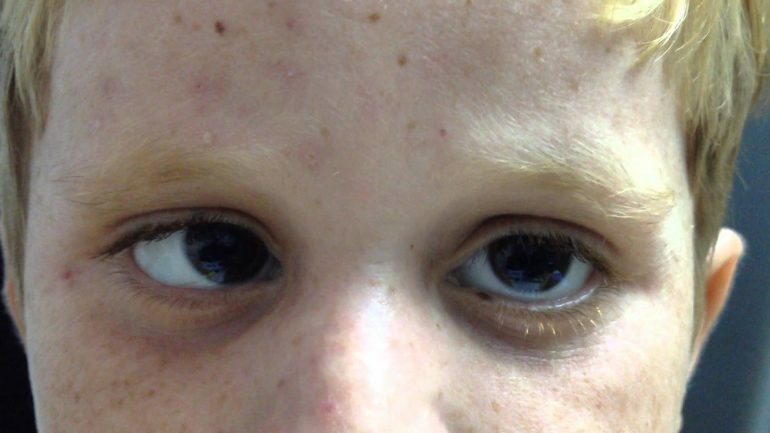 Early onset Nystagmus or Congenital nystagmus: This occurs between 0-6 months of age. Typically, pendular movements are noted along with low vision. This is when a child is born with it. Sensory problems: Vision disorders such as Cataracts (cloudy eye lens) or glaucoma ( increased pressure in the eye) can cause nystagmus. Another possible reason for the condition can be a problem with the light-sensing layer of nerves in the retina or a problem with the nerve the optic nerve. 2. Neurologic problems: Problems in the brain can cause nystagmus. For a fact, the brain and eyes must work closely together for good vision, and even slight problems in the brain may cause vision imparities that may lead to nystagmus. Alcohol consumption, medication (most often anti-seizure medicines), inner ear disorders such as Meniere’s disease, brain disorders, strokes, head injury, etc. There are several medical and surgical treatments that help reduce the symptoms, but getting rid of the disorder completely can be challenging. Surgery usually reduces the null position, resulting in a reduction of the need for head tilt. Medicines such as Gabapentin, Memantine and Baclofen have been found to be beneficial in many cases. Botulinum toxin when injected into the eye muscles, paralyses the external eye muscles leading to a reduction in nystagmus. Though the results are temporary and the injections are to be repeated frequently, this alternative is very popular. When there are associated causes that lead to nystagmus and that can be easily addressed, such as a cataract or a tumour, it may be removed. If nystagmus is caused by a medicine, it can be replaced or stopped. On treating these related problems, nystagmus can be cured. Contact lenses and eyeglasses can help reduce symptoms. Special prisms may be used to adjust eye gaze, which helps you get the best possible vision that may reduce the symptoms of Nystagmus. In most of the cases, nystagmus cannot be prevented, as it is there since birth. Acquired nystagmus, however, can be prevented to some extent. Identifying the underlying/ related cause, and taking appropriate treatment as soon as possible, can help prevent nystagmus. Make sure that the child’s contact lenses or glasses are always up-to-date. The vision should be corrected to a maximum level. Try and help the child’s teachers and friends understand the basics of nystagmus. Tell them how the condition has major effects on the ability to see, learn and interact. Helping the child with the condition get better acceptance and exposure of the society. Don’t be ashamed to talk about the condition to your family, friends and the society, if your child suffers from the condition. Try explaining to everybody about it. Don’t treat your child any different or lower your expectations. The disability may be a bump on the road, but it isn’t the end of the journey. Be positive. Most of the people with nystagmus don’t really lack behind the people with a healthy vision.